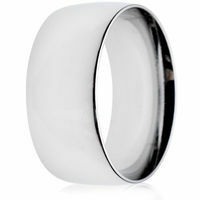 Our most popular choice due to its hardness, rarity and naturally white sheen that will never fade or change color. 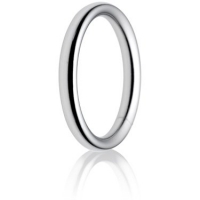 Our platinum rings are 95% pure, which means they are heavy, strong and naturally hypo-allergenic. 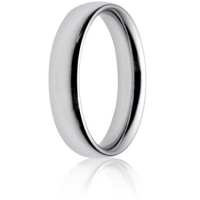 The best choice if you have the budget for a prestigious ring that will last you a lifetime. 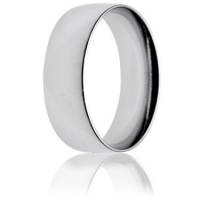 Palladium is a white precious metal and part of the platinum group of metals, popular for its natural white color which does not tarnish or require re-plating. 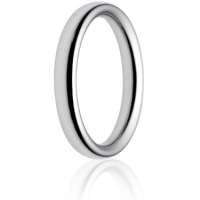 It's affordable in comparison to Platinum, and is a great low maintenance, durable metal. 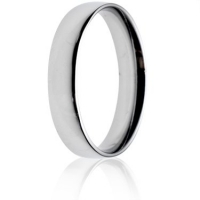 Titanium is incredibly strong, light weight and durable in comparison to other metals, such as gold. 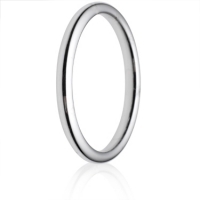 Another fantastic attribute of titanium is that it is hypo-allergenic, making it perfect for those with sensitivities to wearing jewelry. 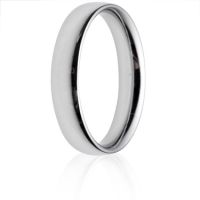 Yellow gold is the traditional choice for wedding rings, we offer 9ct, 14ct 18ct and 22ct rings. 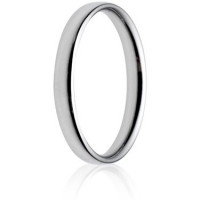 A mixture of pure gold, copper and silver gives yellow gold jewelry its signature warmth. 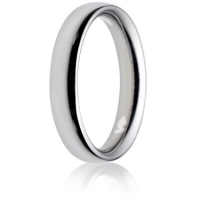 White gold jewelry uses pure gold alloyed with other white metals such as palladium and silver, to produce a beautiful polish and shine. 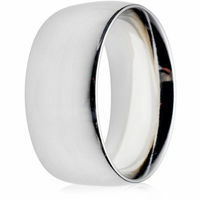 White gold rings are plated with rhodium to give its brilliant white lustre. 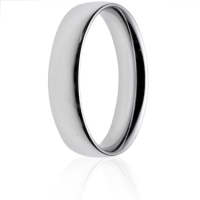 Rhodium plating is hypoallergenic and helps to protect the white gold. 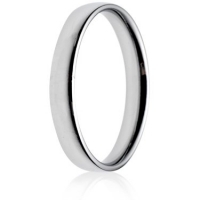 Also known as pink gold or red gold, rose gold adds a touch of romance to your jewelry; if you want a ring that is traditional and distinguished then rose gold could be the metal for you. 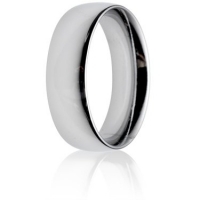 Silver is one of the longest standing precious metals used in making jewelry. It is popular as it is very malleable and one of the most inexpensive precious metals. 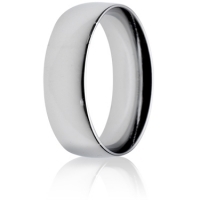 It is important to note however that silver will tarnish and scratch more easily than other metals. Zirconium is very similar to titanium in strength and weight. 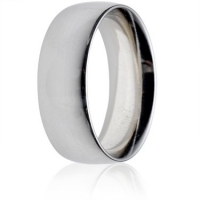 Zirconium is a grey/white lustrous metal with all the same hypoallergenic qualities as Titanium and when it is heat treated, it forms a deep silky black oxide coating, known as Black Zirconium. 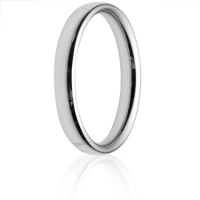 Comfort fit (court) profile is the most traditional shape as well as being our most popular. 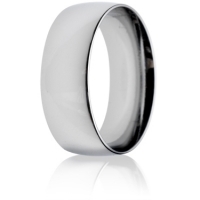 The rounded inside and out means that it will sit comfortably as it beds into the finger. 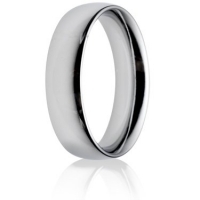 Similar to the flat profile, however has a curved inner edge for a comfortable fit. 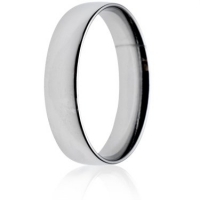 The flat comfort fit (flat court) still attains the look of the flat profile when on the finger, but much easier to wear if you are not used to wearing rings. 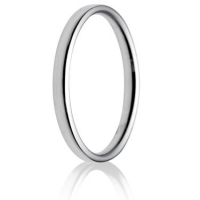 A flat-sided comfort fit (flat-sided court) wedding ring is rounded on the inside and outside like the traditional comfort fit (court), however has flat sides and a less domed profile. This means that they appear a bit deeper when on the finger, and also weigh a little more than the traditional comfort fit (court) wedding ring. 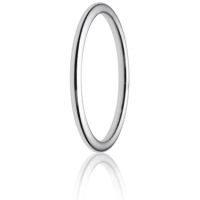 We have found that the flat-sided comfort fit (flat-sided court) is a popular choice to sit alongside most engagement rings.